Located in Montgomery County TX, Magnolia can be found at the junction of FM-1774 and FM-1488. One of the first benefits to keep in mind, as far as the general location of Magnolia is concerned, is the fact that you are just forty-five miles away from Downtown Houston. To be sure, one of the added benefits to the homes for sale in Magnolia is the fact that it provides residents with an easy commute to Downtown Houston, which is one of the largest employment centers in Texas. You can also look to Downtown Houston for amazing things to see and do, particularly throughout the Inner Loop area. 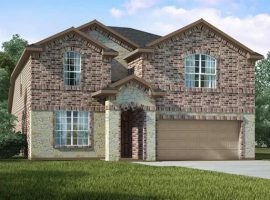 At the same time, the new homes Magnolia TX possibilities, which you can find in such neighborhoods as Indigo Lake Estates and Magnolia Ridge, also offer a peaceful reprieve from the hustle and bustle of nearby larger cities. With a population of less than 1500, Magnolia is very much a small town with big city amenities and features. 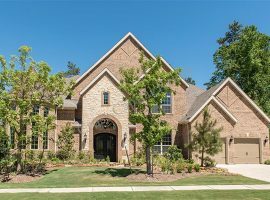 One of the ways Magnolia retains its small town appeal comes down to the fact that it is a perfect distance from larger cities like Houston, or even Cypress TX, which is less than thirty miles away from Magnolia. In other words, you get the benefits of being close to places like Downtown Houston, but you also get the ability to get away from the metropolitan sprawl as needed. While Magnolia is very much a small town, you will find everything you would ever demand from a place in which to live. Magnolia is supported by exceptional schools in the Magnolia Independent School District, making Magnolia a fantastic place in which to raise a family. At the same time, you are also going to discover that Magnolia has a great deal to offer, in terms of restaurants, shopping, parks, and much more. 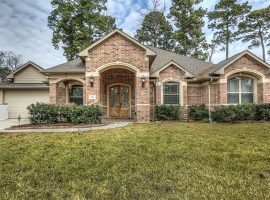 In terms of homes for sale in Magnolia TX, keep in mind that the average home price is somewhere in the range of 430, 000 dollars. Not surprisingly, this can vary wildly from one neighborhood to the next. 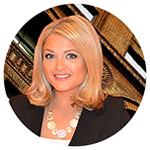 Magnolia features a number of stunning neighborhoods and gated communities. Whether you are looking for something along the lines of a modest townhome, or if you are more interested in a sprawling, estate-like property with acreage to spare, you are going to find a variety of options throughout Montgomery County in general. 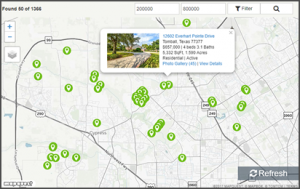 In terms of Magnolia specifically, your new homes Magnolia TX possibilities are quite simply breathtaking, regardless of what you ultimately choose. The average size of a home in Magnolia is more than three thousand square feet, so that should give you an idea of just how spacious these properties can be. This is why we tell people that Magnolia has something to offer just about everybody. Established in 1845 as a town known as Mink Prairie, Magnolia has certainly undergone some dramatic changes through the years. While this town has no doubt benefitted from the rising fortunes of nearby cities like Houston and Cypress, as well as towns like Spring and Klein, there is no question that Magnolia has grown and evolved on its own terms. This community continues to impress, and continues to move towards the future. Along the way, they maintain the small town warmth and friendliness that makes Magnolia such an appealing prospect for so many different people. 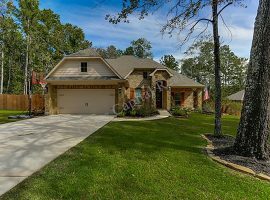 In the end, if you are looking for a peaceful, vibrant community that makes it easy to get to other cities and destinations of note in the area, then you are going to love absolutely everything the homes for sale throughout Magnolia TX have to offer.